High performance, EPCglobal Generation 2.0 (ISO 18000-6C) support with anti-collision, Dense Reader Mode (DRM) and advanced anti-jamming functionality. The ThingMagic Astra is an easy-to-install, unobtrusive, integrated UHF RFID reader/antenna designed for office and commercial environments. 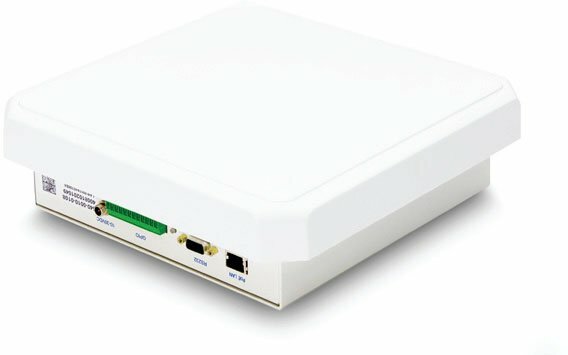 Driven by ThingMagic's powerful Mercury5e UHF RFID reader module, Astra's Power over Ethernet (PoE) and Wi-Fi options allow for flexible, low cost, single cable installations. With full support for ThingMagic's enterprise-class MercuryOS software, the Astra blends in well with corporate IT infrastructures and office lay outs. The ThingMagic A5-NA-POE is also known as Thing Magic	A5-NA-POE	or A5NAPOE	.